This book is about Mahmoud Ahmadinejad, former “president” of I.R.Iran. 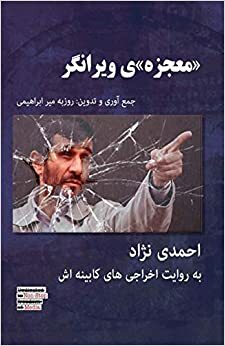 In this book, Roozbeh collects all of the statements, criticism and speeches about Ahmadinejad’s cabinet member about his personality, mismanagements and critical decisions. In this book, Roozbeh shows how Ahmadinejad’s policies destroyed Iran’s political/economic system from his own government member’s mouths. This book was published in 2014 in New York, USA by Non-Stop Media.